Martha Boyle and Olive Barstow could have been friends. But they weren’t — and now all that is left are eerie connections between two girls who were in the same grade at school and who both kept the same secret without knowing it. Now Martha can’t stop thinking about Olive. A family summer on Cape Cod should help banish those thoughts; instead, they seep in everywhere. And this year Martha’s routine at her beloved grandmother’s beachside house is complicated by the Manning boys. Jimmy, Tate, Todd, Luke, and Leo. But especially Jimmy. What if, what if, what if, what if? The world can change in a minute. 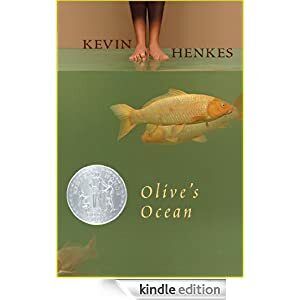 Written for readers in grades 5-8, this novel is selling for $1.99 today.